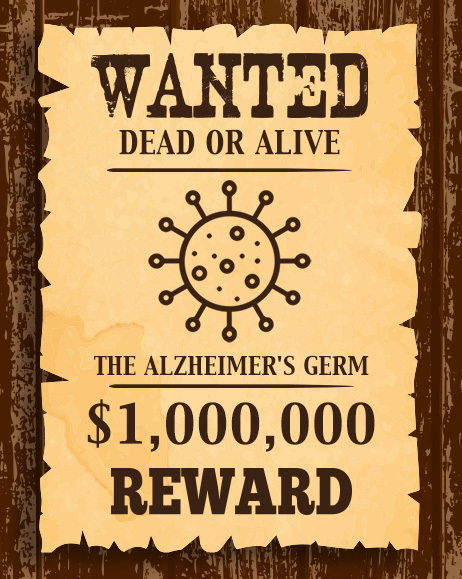 Home | Alzheimer's Germ Quest, Inc.
A prize for persuasive proof the ‘Alzheimer’s Germ’ is the cause of the disease. Alzheimer’s is a public health emergency in the U.S. Your detective talents are needed! World: more than 44 million suffering. Cause unknown. There are many clues a germ is the villain. Decades of research and billions of dollars have investigated the amyloid plaques and tau protein tangles found in the brains of AD patients. Unfortunately, none of this has produced results useful for patients. Good news: Researchers are finding increasing evidence that Alzheimer’s is an infection caused by a germ—bacterium, virus, parasite, fungus, or prion. Farfetched? Not at all. Germs were found to be the cause of other diseases once considered mysteries: tuberculosis, AIDS, Zika, Legionnaire’s, malaria, kuru, etc. Yet there has not so far been a thorough search for a causative microbe for AD. 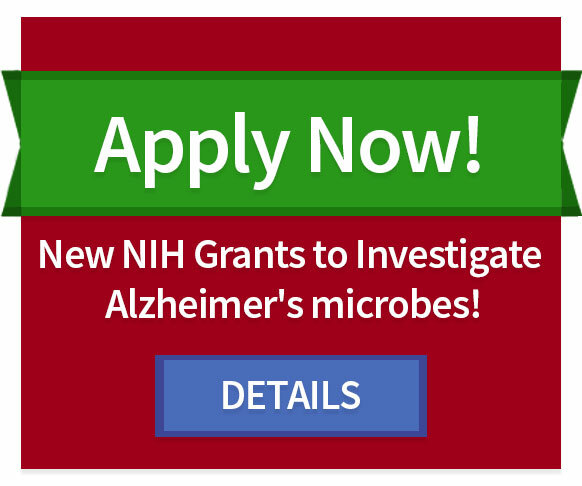 In fact, virtually none of today’s $1.6 billion in AD research funding is dedicated to finding an Alzheimer’s germ. Understand why a germ is likely by reading our White Paper.